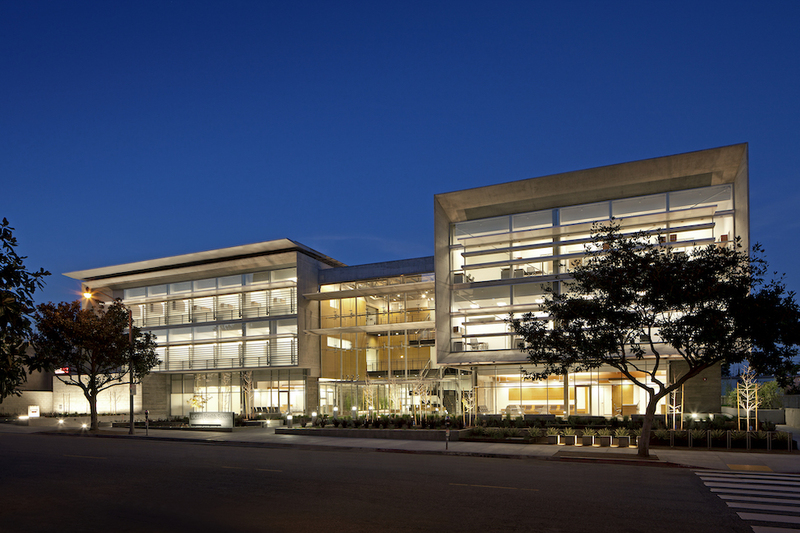 The Outpatient Surgery and Oncology Center in Santa Monica expresses the continuation of early California Modernist sensibilities and incorporates extensive sustainable, green-building strategies. The design concept asserts that a more natural and less clinical environment promotes healing in patients and alert, productive behavior in doctors, staff, and students. Primary design considerations include the creation of a distinctive and articulated massing, the maximal inclusion of natural day lighting and ventilation, and a strong indoor-outdoor connection. The project achieves LEED Gold Certification for New Construction and is the first Outpatient Surgery and Oncology Center in the nation to achieve this rating. To promote patient healing and staff productivity, the design is infused with features to accomplish a natural, light-filled environment with a strong indoor-outdoor connection. Every opportunity to bring sunlight deep into the building core is explored. This design strategy is enhanced by providing access to landscaping visually through sight lines from the building common areas and waiting rooms. Accessible entryways to exterior landscaping and the landscaping elements brought into the building physically connect the spaces with the outdoors. The vertical massing of the building allows an increased setback from the street to incorporate more landscaping on the streetscape. The 3-story building links two distinct wings via a central full-height, expansive lobby filled with light. The lobby is enclosed with a full–height, mullion-free glazing system and covered in a fritted glass skylight, allows light to flood the central common area of the building. Patient and guest waiting rooms along the first floor of the building connect to ground-level exterior patio gardens, allowing visitors and guests to sit indoors or outdoors. These landscape and seating areas help accentuate the front plaza. 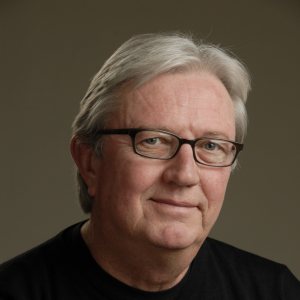 Michael Folonis, FAIA is the design principal and founder of Michael W. Folonis Architecture of Santa Monica, California. The firm is committed to creating authentic, contemporary architecture informed by culture, history, technology, sustainability and building innovation. Since its inception in 1983, Michael Folonis Architects has realized a strong and diverse body of projects that include mixed-use, affordable housing, healthcare, commercial buildings and private residences. The firm has designed over 150 buildings and more than 3,000 housing units within the communities of greater Los Angeles and nationwide. In 2014 the firm designed a 1.3 million square foot, 60 story mixed-use building in Chongqing, China and a 450 unit senior mixed-use housing project in Baltimore Maryland. Folonis Architects has been recognized with more than 50 design awards by the National American Institute of Architect’s, the California Council Chapter of the American Institute of Architects and the Los Angeles Chapter of the American Institute of Architects. In 2008 Michael was elevated to the College of Fellows of the American Institute of Architects, the highest honor bestowed to an architect by the AIA. The firms’ work has been published nationally and internationally in Italy, Great Britain, China and Germany to name a few. Mr. Folonis has served on the Los Angeles Chapter of the AIA as a board member and a board member on the California Council of the AIA. Folonis earned his bachelor of Architecture degree from the Southern California Institute of Architecture (SCI-Arc) and his masters of architecture from the University of California, Los Angeles (UCLA).